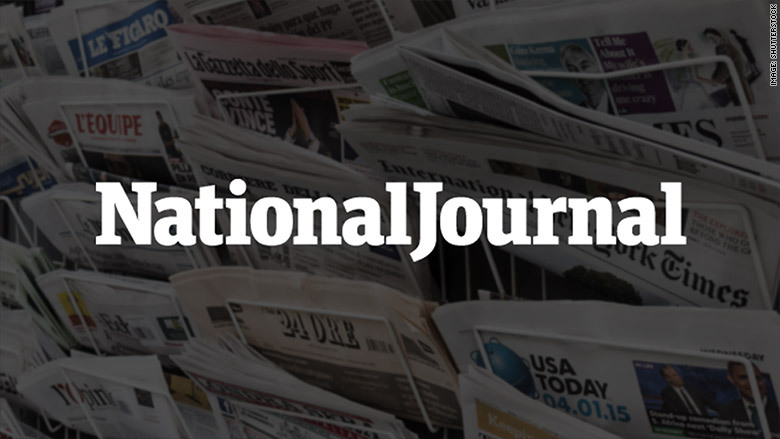 The National Journal announced Tuesday that it will rebrand as a premium paid content site and cut its staff by at least 25%, returning to its original focus after an ambitious and failed effort to take on the likes of Politico and The Washington Post. The changes come three and a half months after Atlantic Media Chairman and CEO David Bradley announced that National Journal would be shuttering its 46-year-old print magazine because he had "failed" to sustain the magazine in the digital age. Since then, National Journal has seen a departure of top staff, including Editor-in-Chief Tim Grieve and Managing Editor Kristin Roberts. The magazine is poised to lose an additional 25% of staff -- it currently employs a total of 175 people -- and will send 20 employees to The Atlantic. The remaining newsroom will be made up of 35 to 40 editorial staffers, Bradley said. While National Journal contracts, The Atlantic will expand, increasing its coverage and opening a new Washington Bureau. The Atlantic will also take over the National Journal's events division and combine it with its own. The cutbacks at National Journal come five years after the magazine rebranded its policy-heavy weekly into a glossy magazine aiming for a broader audience. Then-editorial director Ronald Brownstein said then that the new National Journal was "more substantive than Politico and much more sophisticated than C.Q. or Bloomberg in terms of its understanding of how things happen or don't happen in Washington." National Journal's ambitions had been put in check by 2012 when financial considerations forced Bradley to split the magazine's editorial staff into two divisions: A membership team for its core readers and a digital team for its general audience. By July of this year, Bradley concluded that the magazine was no longer tenable. In recent months, Bradley and his staff began planning to restore National Journal to its core mission: Policy heavy premium paid content for Washington insiders, this time online. "National Journal is sharpening its focus to exclusively serve Washington's policy practitioners through its thriving membership program," National Journal announced in Tuesday's memo, providing "this influential audience with on-demand, time-saving tools and services in an ever more competitive environment."